The SEO landscape is in a constant state of flux. Search is no longer its own isolated division of digital marketing; the last few years have seen black hat, quick-win tactics replaced with fully integrated SEO, PR, and social strategies that have the potential to work really well together. However, this integration has not simply happened overnight, and running a consistent campaign is complicated; there are a number of difficulties agencies and clients both need to overcome to combine all of the components successfully. So is it worth it? The good news is that if businesses can implement SEO, PR, and social as one effective, unified campaign, it will inevitably yield stronger results and a hugely improved return on investment. As an industry, SEO is driving better results through PR and perfecting an approach that incorporates all of the above. So, how do you go about achieving this sort of success? The first step is to identify what the current challenges are, before moving on to how you can overcome them. One of the biggest issues, especially for larger organizations with multiple agencies working for them, is the lack of a centralized strategy. Without a top-level plan that everyone can adhere to and work towards, campaign members can lose their way on tasks and deadlines—with potentially debilitating results. Another challenge is the communication chain, which has evolved dramatically in recent years. 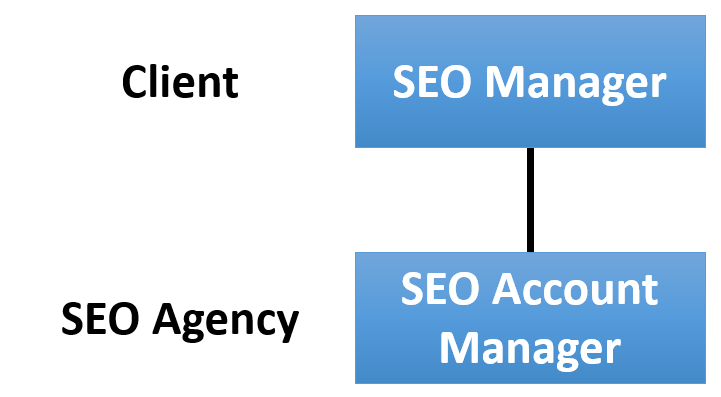 In the past, an SEO agency might report to a client’s SEO Manager, whereas now, things have become a lot more complex. Rather than working with one consistent contact, the same agency might be in touch with people in e-commerce, marketing, digital, SEO, content, branding, PR, social, web development, and any number of other departments, which makes a strategic, fully consolidated approach absolutely vital. With so many departments potentially involved in a project, getting ideas approved and implemented can be exceptionally tricky. For larger-scale SEO campaigns to be as effective as possible, there needs to be a collective buy-in so that each stage of the project can be completed as efficiently as possible. Previously, ideas required the attention of a select few individuals, but the more people required to sign an idea off, the more difficult and long-winded the content and PR process becomes. Even after ideas have been signed off, there can still be issues if communication is poor or overly complicated. Responsibilities, projects, and specific roles often overlap, and there can be confusion about who does what on a day-to-day basis, which can lead to further confusion and delay. Firstly, it’s absolutely crucial to have an overall goal that every department is working towards, and a strategy to help them achieve that goal. Knowing where you fit in, where your responsibilities, lie and how you’re going to be measured is vital. Date Assignment Actions Individual Completed? 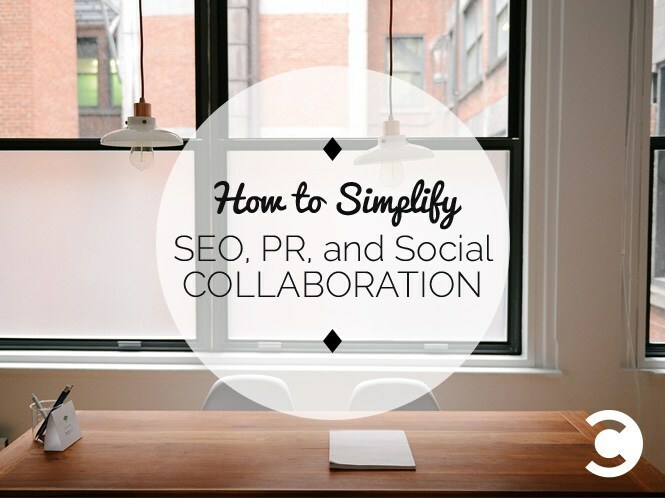 When SEO, PR, and social clash, it’s because there’s not enough distinction as to who does what. Instead of working together in a strategically formulated plan, they end up overlapping. However, this should not be seen as a problematic issue. Instead, ask yourself, how can they benefit from one another? One way to maximize the overlaps between disciplines is to share contacts. Having a centralized media list with clear distinctions means that everyone can play to their strengths. If a PR or SEO team have a great relationship with a journalist, and they in turn have a strong social media presence, alerting the social team and making the most of their following will lead to greater success for everyone. To reach this level of positive, productive overlap, effective communication is essential. Everyone involved in a project, whether they’re SEO, PR, or social, needs to have regular, open communication to maintain as much consistency as possible. Another benefit is uncovering mutually beneficial opportunities for working together, which you’ll find some examples of shortly. For example, social media tools can be repurposed for SEO and PR benefit; Rapportive can help you find the most relevant contacts to send press releases to, while Followerwonk can help you identify the best social media influencers for your SEO campaigns. The following case studies illustrate how brands can combine SEO, PR, and social to maximize results and simultaneously boost link numbers, exposure, and engagement. 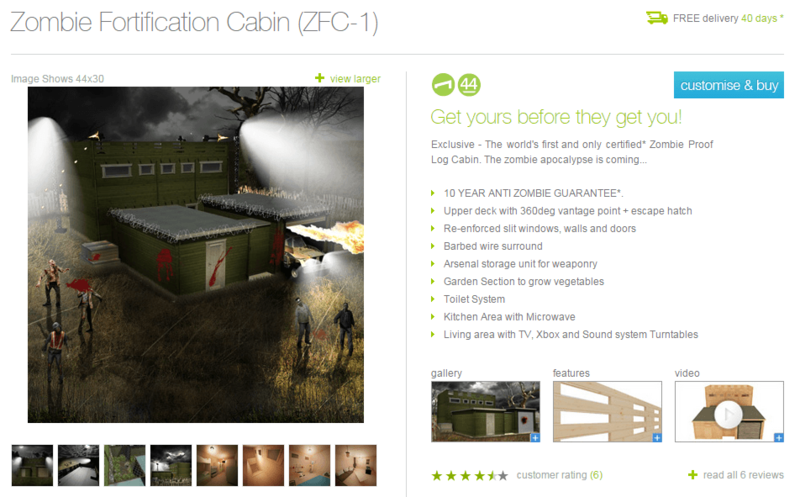 Tiger Log Cabins ran a product launch in the build-up to Halloween for a zombie-proof log cabin. This tongue-in-cheek release was covered in print, on TV, online, and on radio around the world, providing the brand with blanket exposure and proving a PR hit. This in itself would have been a superb result but, by deciding to build a fully functioning product page complete with images, videos, product reviews, and a £69,995 price tag, Tiger Log Cabins created a linkable resource that gave sites a genuine reason to link back to theirs. The stunt ultimately earned them over 500 links, doubled their domain authority, and led to an enormous increase in keyword rankings, representing a fantastic SEO outcome. Fancy Dress Ball created a project that used postcode-based sales data to work out which region and city preferred which historical period for fancy dress items. They supplemented this data with a survey that sought to determine each particular city’s favorite pop culture icons. The findings were assembled on an interactive page that allowed users to enter their postcode and find out exactly what their region was into. The project saw great success, earning them plenty of coverage (both linked and unlinked), but the icing on the cake came in the form of a tweet referencing the survey from Debbie Harry herself—who was found to be Glasgow’s favorite celebrity of the past century. This bumped the potential audience reach significantly, as well as adding weight and context to the survey’s findings. Wynsors World of Shoes created a campaign for April Fool’s Day that saw significant interaction and SEO benefit as well as helping to raise money for MacMillan Cancer Support. 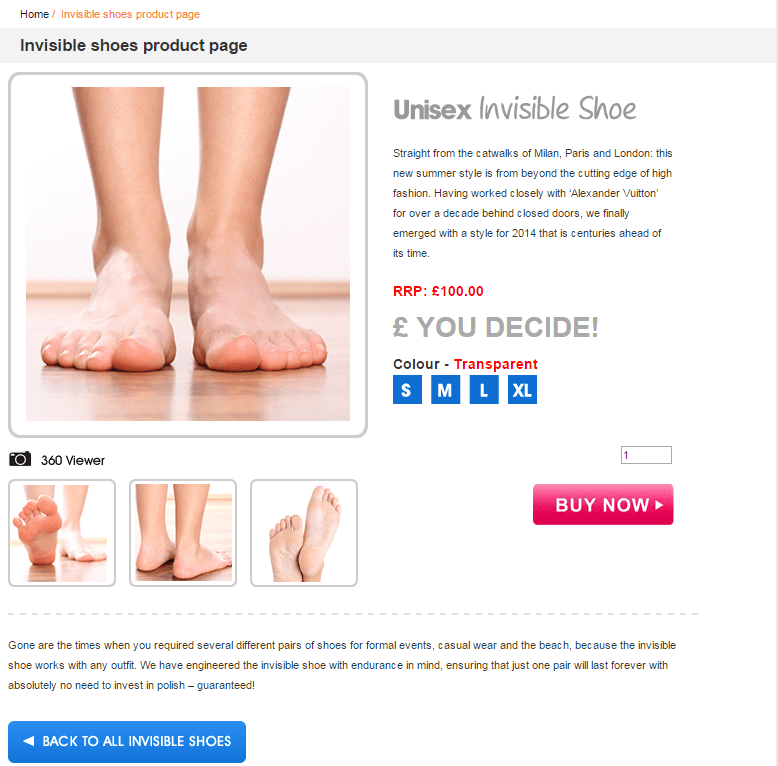 The brand created “Invisible Shoes,” an entirely fake product that was intended to make people smile and consider donating to MacMillan, all the while creating fun and engaging PR for the Wynsors brand. The product encouraged customers to donate by linking to a JustGiving page from a “buy now” button. Some customers simply viewed the page, others shared it with friends, and many made donations as a result of having seen it. Social media activity helped to increase traffic to the Invisible Shoes page and resulted in stimulating natural engagement. The project was introduced to journalists before it went live to maximize the chances of coverage on arguably the most competitive PR/content marketing day of the year. Despite competing directly against multi-national brands such as Samsung and Apple with much larger budgets, Wynsors achieved wide-ranging national, regional, and local coverage for the campaign in the media. Combining SEO, PR, and social shouldn’t just be an occasional “all out,” unified project; it ought to be how we are thinking about the majority of campaigns. Supporting one activity with another leads to increased likelihood and quality of engagement, plus a stronger context when selling stories, to name but a few benefits—all supported by more individuals’ creative input. Remember to plan effectively, maintain communication, and work collaboratively, and fully integrated campaigns will soon begin to show their benefits.